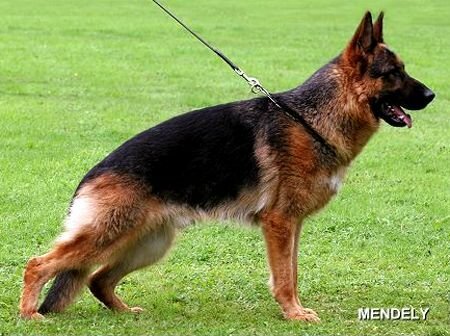 World class German shepherd protection dogs, desired type, German Imports with excellent hips and excellent elbows, schutzhund titled, health tested (DM), stable nerves, safe nature and clear in the head character, guaranteed! WE offer a FIVE Years (old) Health and Temperament guarantee! Our family protection dogs are truly he BEST in the world! *WE OFFER A WORRY FREE" 5 YEARS OLD, GENETIC HEALTH & TEMPERAMENT GUARANTEE!. 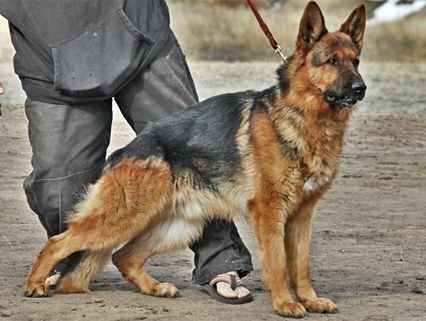 HASAN, (Titles: AD/BH/IPO3/IPO3/SCHH3/SCHHIII/A1/A1/SG ), is the son of Karat's Ulk, "WORLD CHAMPION", and also the grand son of 2000 VA1 Ursus von Batu, "WORLD CHAMPION". Hassan, is strong and powerful young stud with an incredible working ability , a powerhouse dog with strong presence and superior over-all type. A robust dog with super gentle character, loves his master and his family with ready to please and ready to play attitude in any arena, world-wide, guaranteed. FULLY TITLED !!! ZW = 84(Excellent - Healthy Hip Value) - More info, please click here! We believe in our breeding program - Shop confidently, we offer a "WORRY FREE" FIVE Year "Health" and "Temperament" guarantee (until your dogs is FIVE years old)! Family Protection Dogs - A Family Protection Dog will instinctively alert its owners to the presence of intruders coming into its house or territory by barking or acting in an agitated or suspicious manner. At Gunbil Family Protection dogs are trained and tested for these natural qualities prior to being placed with their new owners. Our Family Protection Dogs Level 3 (Three) will alert to situation (when commanded), release and hold bite, stand guard, on command advanced bite & hold, pursue attacker (chase down) and apprehend. Full of leash obedience. Exposed to a wide variety in environments including home and public. Raised in a home family with children and other dogs. WE guarantee stable nerves, safe nature and clear in the head character!